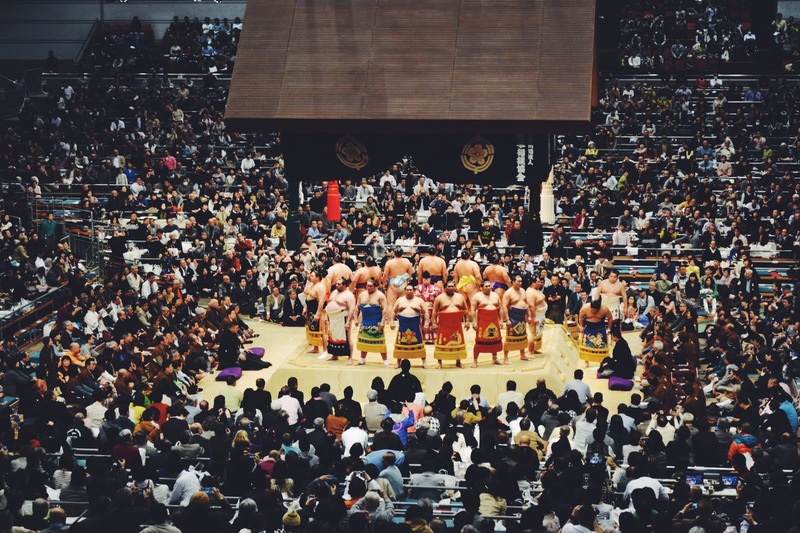 Sumo is perhaps one of the most well-known images of Japanese culture. And yet, Sumo is also one of the most misunderstood and ill-communicated aspects about Japan, as it seems to be treated rather comically by Western media. Not being much of a sports fan, my expectations were more of a “let’s see this interesting event” rather than focus on the sport itself. Five minutes there, and I realized how wrong I was. Seeing Sumo wrestlers in person makes you appreciate how powerful their bodies are- not just because of their size but how much speed and flexibility they posses. The stakes and anticipation for these events are high, because they’re so quick! Most of the matches lasted under 10 seconds, which were moments of pure energy and adrenaline from the crowd. There’s also a certain element of danger, as there were a few times when either one wrestler or both would fall off of the raised platform and land below. There were also clearly some crowd favourites, with some wrestlers receiving enormous cheers as their names were announced. 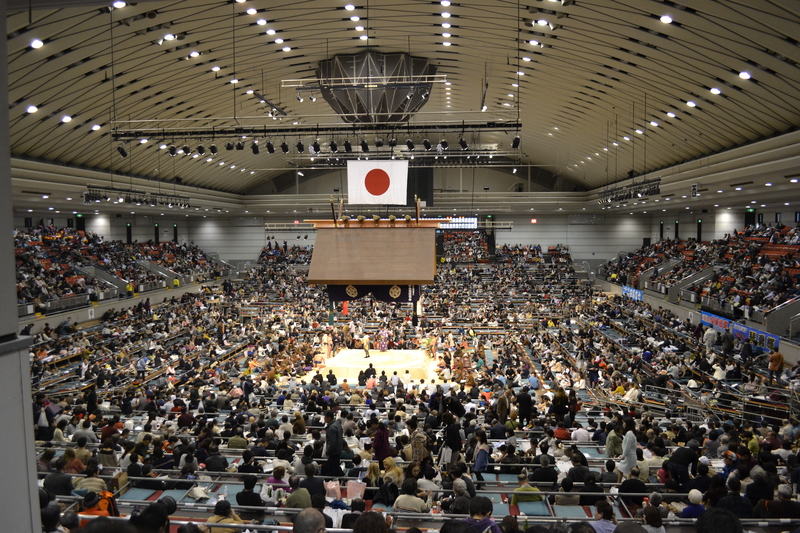 We realized that most of the favourites were from Osaka, raising some city-pride from those in the audience. One wrestler had a group of fans in the crowd who had dressed as cheerleaders and would chant and spell out words with their pompoms. This drew a lot of attention and applause from the crowd. Below you can see one of the final matches that was quite longer than most!